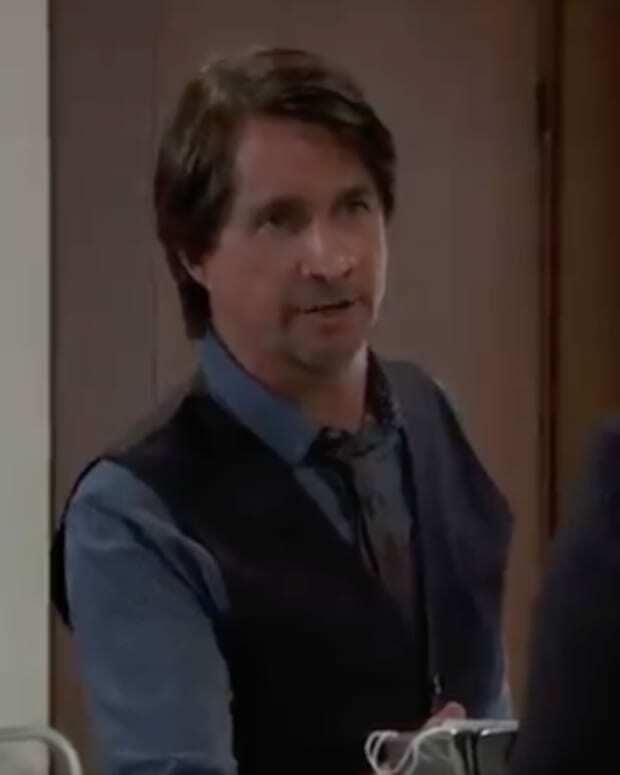 Franco reminds Scott he needs to throw David&apos;s case. Scott says it&apos;s his plan, but ugly surprises can come up during testimony. When Franco pushes, Scott tells him about Kiki&apos;s one night stand. Scott tells Franco to give Alexis this information. Peter wants a guarantee of freedom in exchange for what he knows. It turns out he didn&apos;t know very much other than that Dr. Klein was in charge. Robert decides Anna would be mad if Peter was sent to Steinmauer, so Robert&apos;s deal is he&apos;ll shelve the charges against Peter, but they can be refiled whenever he wants. In exchange Peter can go free, but if the WSB calls, he&apos;s to do their bidding. Finn wants proof of Anna&apos;s life before helping his captors. The goon takes a photo of a knocked out Anna, but Finn wants to see her alive. The goon takes Anna to Finn and leaves them alone. Anna says she was pretending to be spaced out, and the two kiss and reunite. Julian shows up at the courthouse to offer support to both Kiki and Alexis. He and Alexis discuss the double standard that women face. He admits he never realized how bad it was. Ava tries to prepare Kiki for trial, reminding her she can&apos;t let anything David does or says throw her. Kiki puts on a suit so she can be conservative, but Ava says she shouldn&apos;t change her ways. Kiki changes into a dress that&apos;s more comfortable. Liz tells Kim she&apos;s testifying on Kiki&apos;s behalf and wonders if she should bring Cameron to the proceedings. Franco comes to pick her up. He thinks it&apos;s a bad idea, then gets angry with Griffin when they run into each other. Drew eavesdrops at the door when Margaux stops by to see Peter. She&apos;s unhappy the WSB isn&apos;t charging him with anything. She believes she can build a case against him for identity theft and helping Faison take Drew&apos;s identity. Peter says he had nothing to do with the memory transfer. Margaux counters he was trafficking stolen information. She tells Peter if he gives back Drew&apos;s memories, she&apos;ll drop the charges. Drew interrupts and says Peter doesn&apos;t have, and never had the flash drive. He&apos;s not going to press charges against Peter. Margaux has Peter released. Valentin runs into Maxie and Nina. He lays it on thick again for Nina&apos;s sake. Maxie comes to Nina&apos;s defense, accusing him of using Nina&apos;s love against her. Valentin tries again with Nina, but she shuts him down. Robert tells Peter all of Faison&apos;s assets have been seized, and he doesn&apos;t have any money. Peter runs into Maxie and Nina. He asks to see the baby, which Maxie allows. He says he&apos;s free. Nina questions where he&apos;ll go. 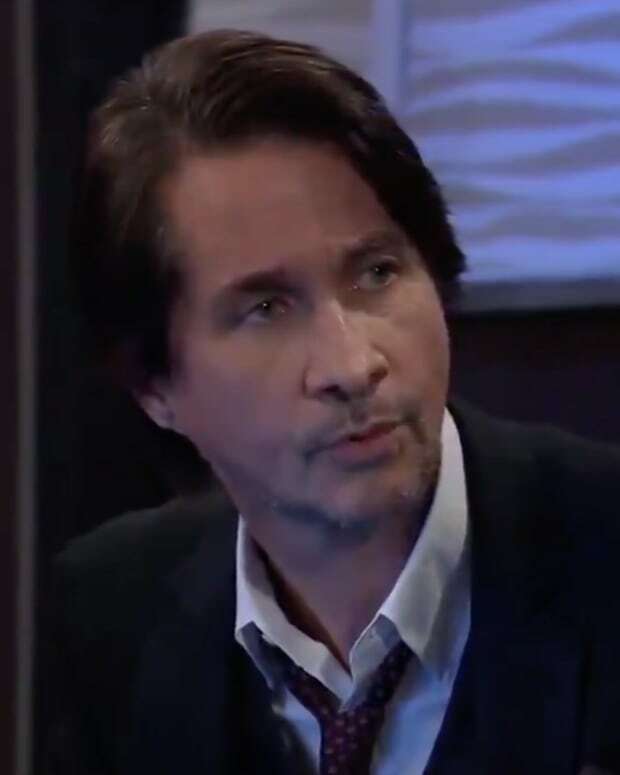 Peter says he&apos;s planning on staying in Port Charles. 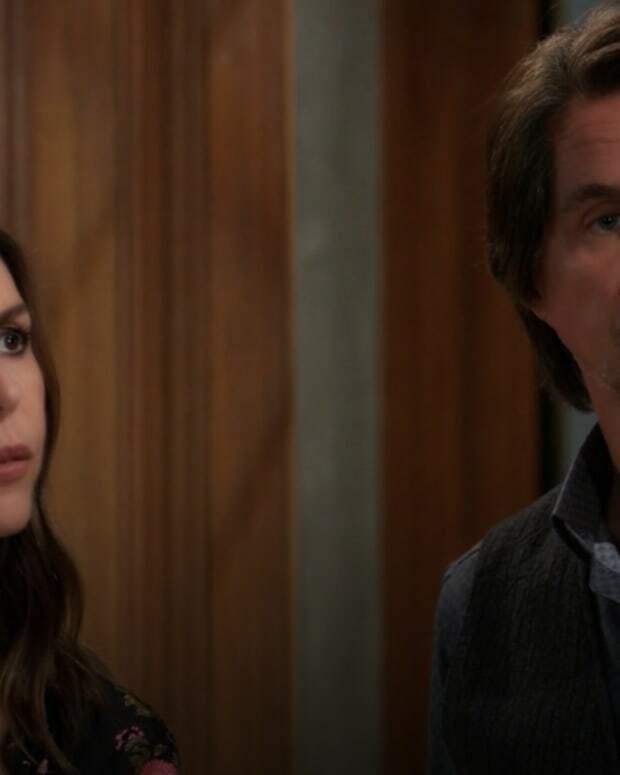 Anna is still trying to find out which big bad captured her and doesn&apos;t want Robert showing up to blow it. She removes Finn&apos;s tracker so Robert can&apos;t find them. Franco gets to the courthouse and demands to speak with Alexis before the trial starts.